Why Do They Gather in My House? 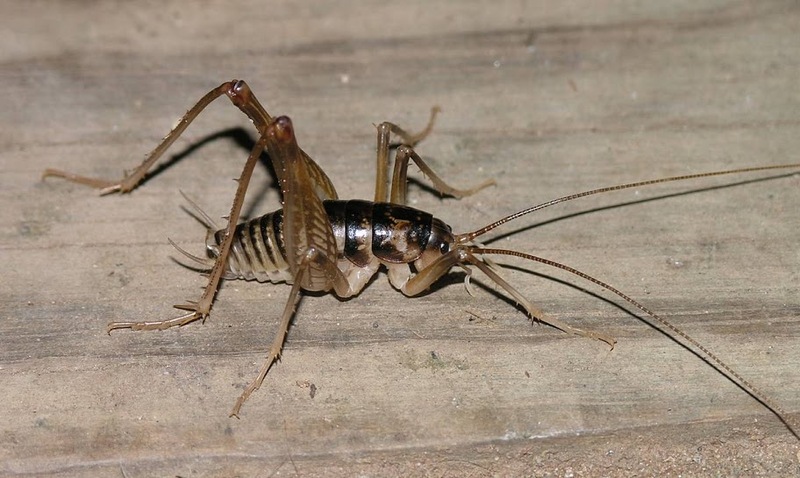 It's been a while since I last did a post about sprickets, so I thought it was time for another, especially because I get so many questions about "spider crickets," also commonly called camel crickets. These insects are the creepy wee beasties of some people's nightmares. They're actually crickets but with a hunched back. They dwell in dark places and basements, and while it's bad enough that they look like spiders these lookalikes take full advantage of the similarity to hop like a demented spring when startled, scaring the bejeebus out of basement goers. Why do sprickets gather in my house? Posted in Insects, Invertebrates, Pest management and tagged Camel Cricket, spider cricket, Spricket on June 2, 2015 by Infinite Spider.